Even for mining companies that are used to rapid change in the business environment, the past 12 years have been nothing short of extraordinary. A long period of low commodity prices made executives wary of expansion to meet demand. Then under-confidence switched to over-confidence. Rather than the commodity cycle being “stronger for longer” one CEO even declared that the cycle was dead and we would see “stronger for ever”. Record prices were paid for assets that were later written off and a mindset of “tonnes at any cost” crept into the industry. Low grade mines were opened, mines expanded faster than they could be efficiently managed and new workers were brought in without the experience of operating in the old low-cost environment. A 2014 report co-authored by Ernst and Young (EY) and researchers from the University of Queensland showed how the mining industry lost economies of scale during the boom and started to show “diseconomies of scale’”. In a bid to expand quickly, many mines had become inefficient and overly-complicated. These practices were eroding the productivity of the industry, albeit in a profitable way while commodity prices were high. Now, the downward part of the cycle has been just as unpredictable as the boom years, with consequences for Australian miners. Thermal coal has halved in price since 2011 and iron ore has fallen from US$180 per tonne to $50 per tonne over the same time period. Unsurprisingly, productivity declines meant these price declines were going to exact pain in the businesses. In the new environment of low commodity prices, the big miners have been working hard to get operational control back into the business and reduce costs. 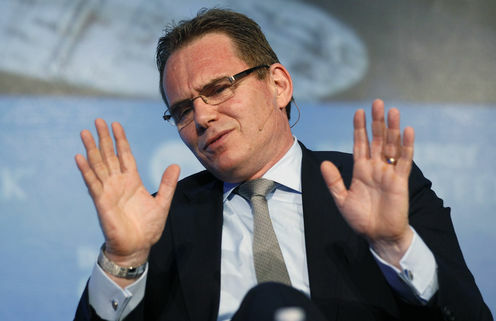 BHP has recently reported close to 50% cuts in costs across its four main commodity groups and divested non-core assets into a new company, South 32, earlier in the year. Rio is also reporting cost savings but along with all the big miners, the sustainability of these savings remains to be seen. For a company with US$130 billion in assets $2.5 billion on maintenance for the financial year does seem low. While genuine improvements in productivity are occurring, it is possible to reduce costs without sustainable improvements in productivity. The jury is out on how much this is happening at the moment. So is this the end of the productivity crunch for Australian miners? Unfortunately the answer is no. While productivity was eroded by rapid expansion in the boom, there is also an underlying productivity decline in the mining industry that is non-cyclical. The biggest cause is ore grades. Put simply, the best low-cost mining opportunities have been discovered and miners now need to dig deeper and in more remote locations to replace these mines. Recently, the Australian Bureau of Resources and Energy Economics tried to find ways to recognise this missing factor in calculations of mining productivity, with limited success. Other non-cyclical challenges to productivity include an ageing mining workforce, increased pressure on companies to earn their social licence to operate and operating in more politically risky nations with limited infrastructure. Squeezing current operations harder isn’t going to address these long-term challenges and the only way the mining industry will be economically sustainable is through innovation. Here, the industry is also under pressure with very little technical change over the past twenty years compared to a similar industry like oil and gas. The current shareholder focus on immediate reductions in costs has orientated the industry to short-term performance and only some companies are starting to think past the next few years to the future. As economists have known for a long time, sustainable productivity improvements don’t come from working longer or harder, they come from innovation. So what about the broader productivity challenge for Australia in general? In some ways the case of mining is an extreme example of what besets the national economy. The boom years from mining were largely squandered on short-term spending and the economic reform agenda has stalled. In the same way that miners are struggling to communicate long-term ideas to shareholders, politicians actively avoid discussions about the needs of the future with the electorate. Successful miners in the past have had a long-term view of their industry through the cycle and we may yet see this perspective return. BHP’s investment in potash for agriculture is an example of this. A similar long-term view and the will to make changes is also needed for the Australian economy.